Although the importance of Conrad's work has long been recognized, Jacques Berthoud attempts a full demonstration of the clarity, consistency, and depth of thought evident in the novels written during the first decade of this century. 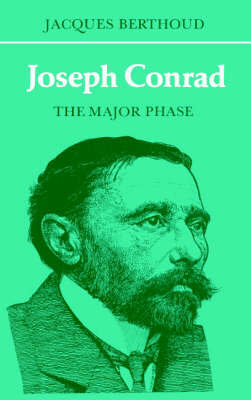 Instead of the standard versions of Conrad - from sceptical moralizer to 'metaphysician of darkness' - he offers a tragic novelist, engaged in a sustained exploration of the contradictions inherent in man's relations with his fellows; and from the perspective thus achieved, he is able to show why Conrad occupies a leading place among the creators of modern literature. This book will be of interest to specialists in English studies because it seeks to make a substantial contribution to the critical debate on the significance of Conrad's work. It will also appeal to any reader looking for guidance through the complexities of the major novels: the central issues have been presented as simply as the originality of Conrad's art and thought permits.